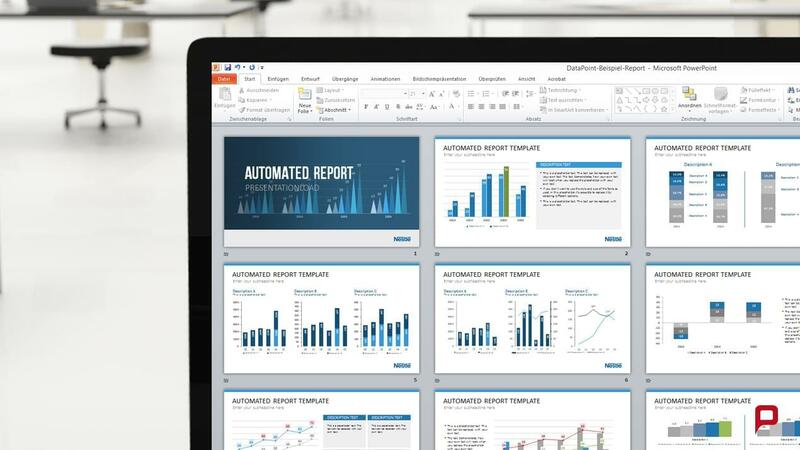 Tailor-made for your business needs and requirements: We create customized software solutions and add-ins to enhance your PowerPoint productivity. 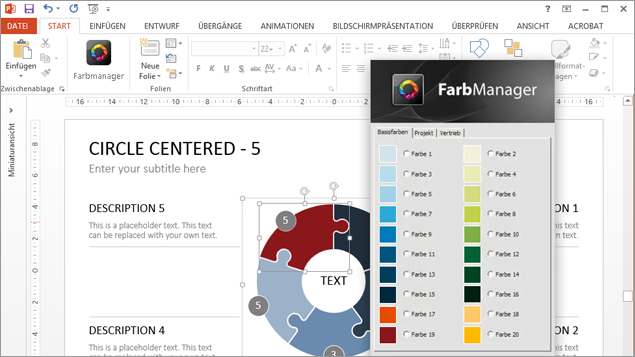 Customized software solutions enrich your presentations and increase your productivity: Whether you‘re managing languages or want to incorporate CI colors, reports or news - we provide the appropriate add–ins and extensions for your PowerPoint needs. 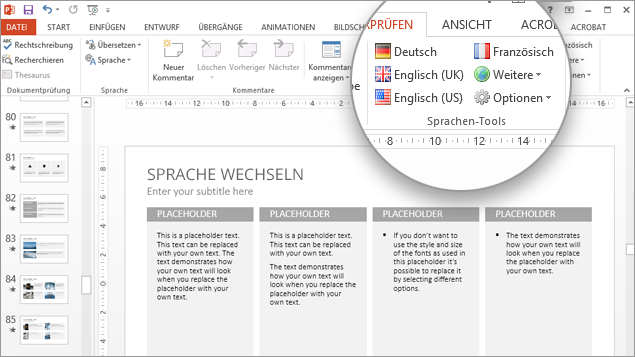 With one click, this PowerPoint add-in allows you to convert and spell-check your slides into any desired language. A truly indispensable tool for multinational corporations. This add-in guarantees that all CI colors are available in PowerPoint. Thanks to its enhanced palette, it supports the management of personalized corporate design colors. 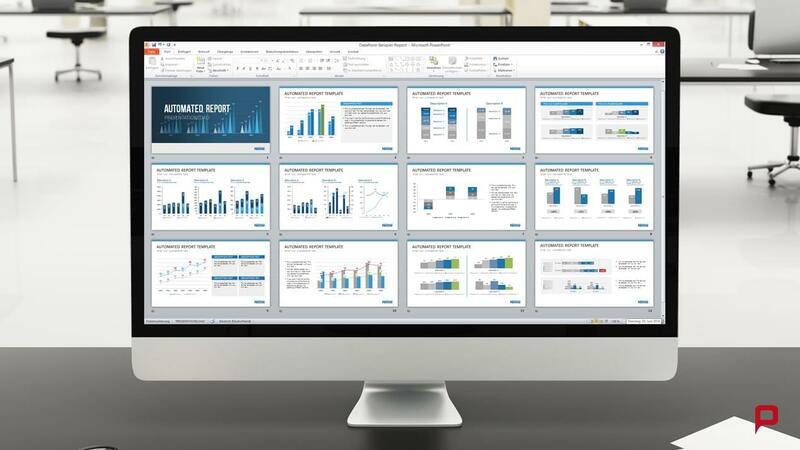 Automatically create your report presentations and analyses in PowerPoint. 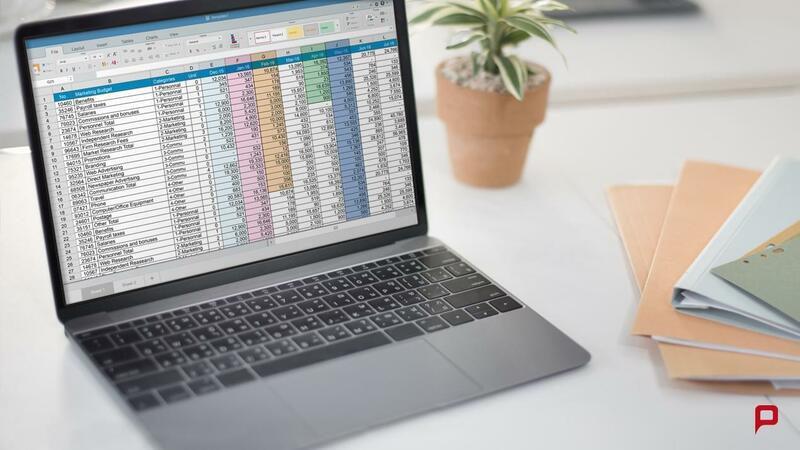 Whether it‘s text, numbers, graphics, diagrams or tables, all content from your Excel files or database is generated and updated. We can also transfer the design and implementation into existing systems upon request. 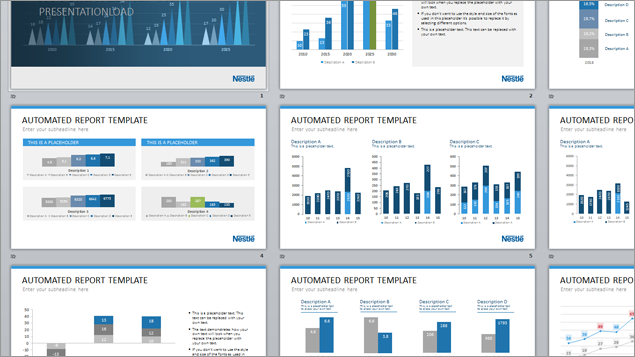 Create interactive presentations: Include real-time information such as time of day, a counter or newsticker. 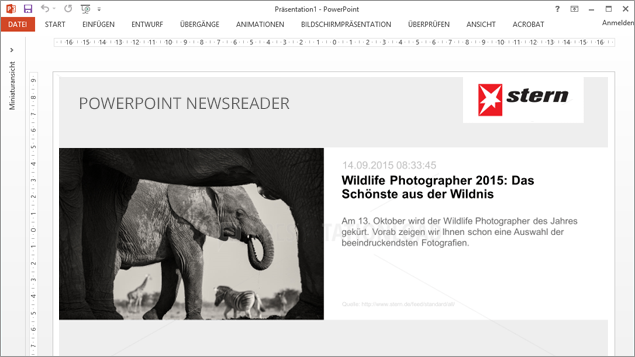 Provide the latest news in your PowerPoint presentation: Create dynamic Info displays and incorporate external RSS newsreaders directly into your PowerPoint presentation. 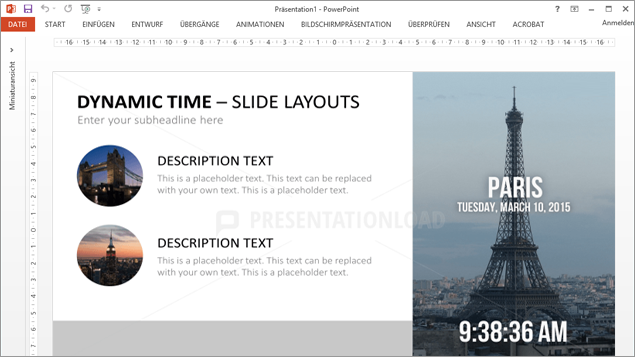 An effective method to display deadlines, important meetings and launch dates in your PowerPoint presentation. 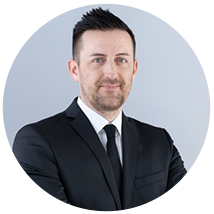 Market leaders and some of the world's best known companies rely on PresentationLoad. 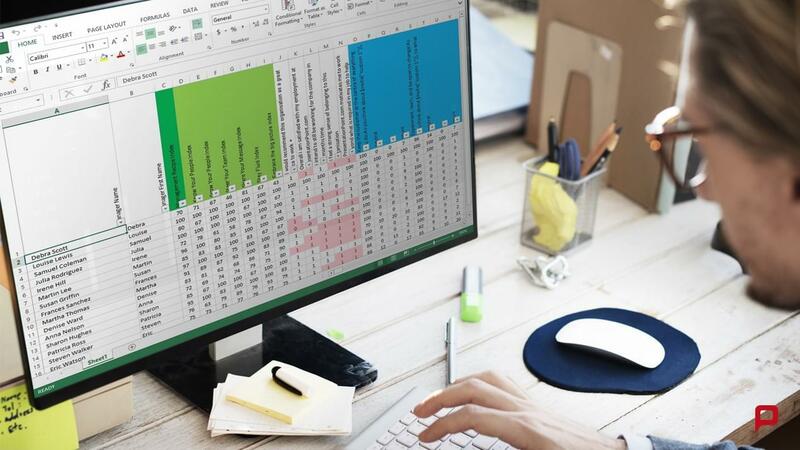 From add-ins that help increase productivity to corporate design solutions, we program and develop software, tools, macros and add-ins / add-ons for your individual PowerPoint and Microsoft Office requirements.